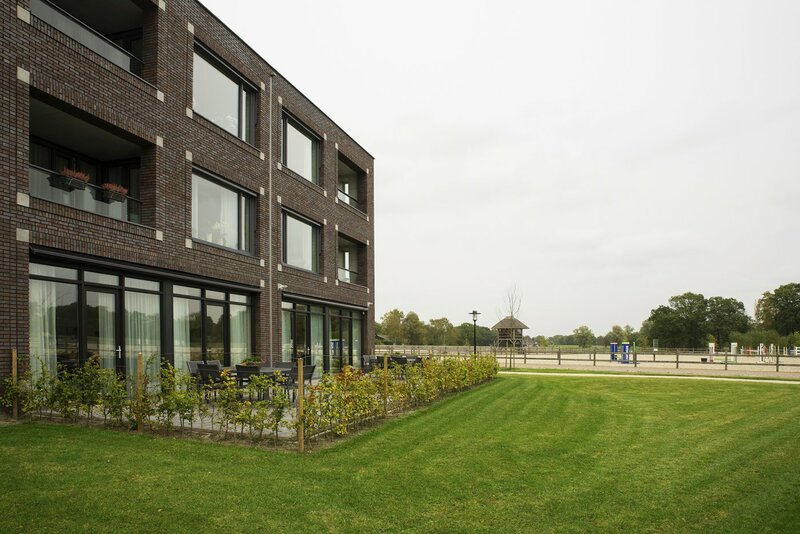 New residential care centre Erve Mensman on the edge of the rural village of Geesteren, lies next to authentic farm Erve Maathuis, where the buildings slowly merge into the 'essenlandschap' (ashtree landscape). 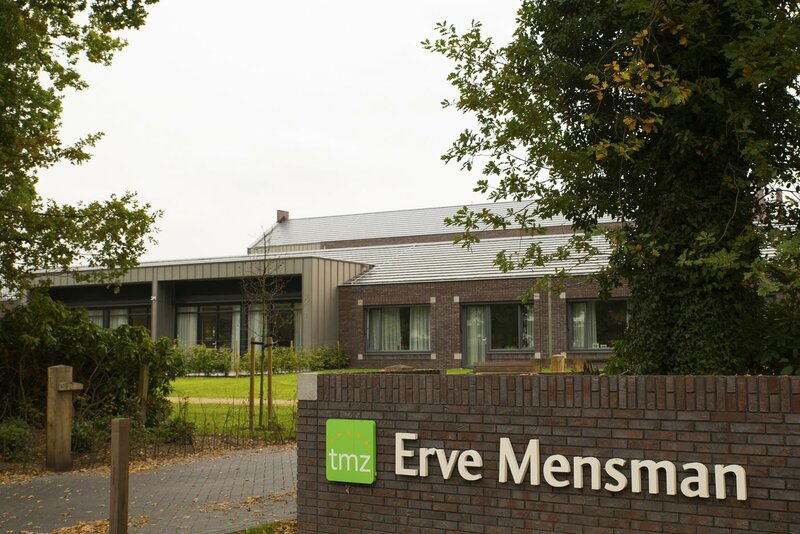 Erve Mensman consists of a total of 48 apartments. On the ground floor there are 32 apartments for psychogeriatric residents. They live in groups of eight, share a spacious living room and bathroom and have their own bedroom. The first and second floor are tailored to residents with physical disabilities. Precisely because of the location on the edge of the village, the integration into the landscape was an important wish of the client. That is why our landscape architects have paid a great deal of attention to the positioning of the building, with as much respect as possible for the environment and in particular with the existing farm. 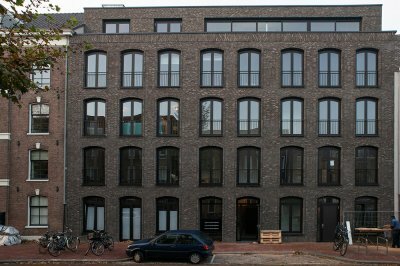 The villagers were also involved in the design process, which ultimately resulted in 1 building layer being located on the side of the village and three building layers on the side of the essenlandschap. The building looks modest on the outside. Because of the deep red bricks, the zinc and the grey frames, the farm and the residential care centre, despite the large age difference, form a unity. Erve Mensman looks out on a large equestrian centre, making jockeys and horses part of the daily view, which adds entertainment for the residents. The structure of the building is in line with the living/care concept of TMZ, in which a healing environment forms the starting point. This ambition has been translated into large windows and transparency throughout the building. Nowhere do the corridors remind of traditional, closed nursing home corridors. Everywhere, daylight fully enters the building, making residents really feel in contact with the environment. Beautiful durable finishing materials ensure a luxurious and warm atmosphere. Within this complex, psychogeriatric residents also have the greatest possible freedom. 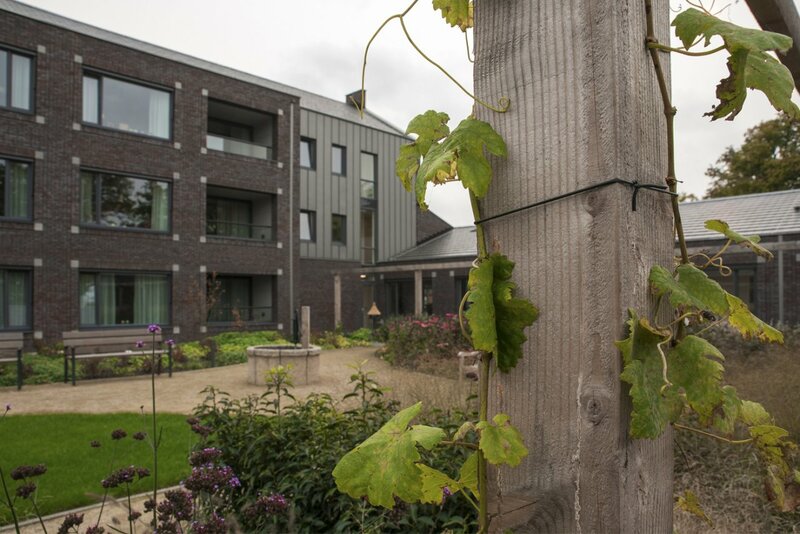 Thanks to building automation, they can independently enjoy the richly overgrown experience garden, which was created and designed together with the residents. The central restaurant can also be used by everyone and is now a meeting place for both the residents of the complex as well as the inhabitants of the village. The design was created with combined forces. From the first moment, the assignment has been tackled integrally. A development team has been put together with the client, our architects and landscape and interior architects, the installer and the contractor. This way, everyone could contribute their know-how. Subsequently, the design was made, the construction method was determined and the entire plan was elaborated in 3D BIM, whereby the costs were also jointly monitored. 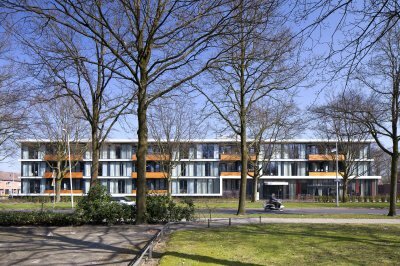 In the field of sustainability, the care complex also amply meets the requirements of our time. For example, triple glazing, heat pumps and solar collectors are used. Among other things, hybrid solar panels have been installed for the generation of electricity and domestic hot water. Use is also made of soil heat. The smart installations in the building unburden both the residents as well as the staff. The installations combine sustainability with a high level of comfort, self-reliance, flexibility and safety. Think of smart lighting and being able to switch on or off automatic and observational system functions. A monitoring system has been installed for the automatic removal of energy audits. This way, the actual promised performances are being observed and the European Energy Efficiency Directive – EED, applying to large companies such as TMZ – is complied with. By also including the maintenance of the installations, the performances can be permanently guaranteed. The integral approach has paid off: as a result, the building has a high GPR rating of 8.4 on average.